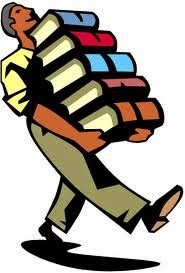 The Friends of the Bridgewater Public Library will sponsor a Book Sale on Saturday, August 9, 2014 in the Flora T. Little Meeting Room on the lower level. The public is welcome to browse our huge selection of books including paperbacks, classics and children’s books. Come in and stock up for your summer reading! The sale is from 11a.m. – 1p.m., with a Friends Only Preview from 10a.m. – 11a.m. The library will be open for business that day, from 10a.m. to 2p.m.